This is one of those trends where I find it impossible to see why they haven't been fashionable forever. Effortless, bold and comfortable, the rise of the mule has taken the high-street by storm as there is no easier way to update your outfit than with a pair of these, heeled or flat. The simplicity of the design allows both designer and high-street dupes to look just as chic as the next. 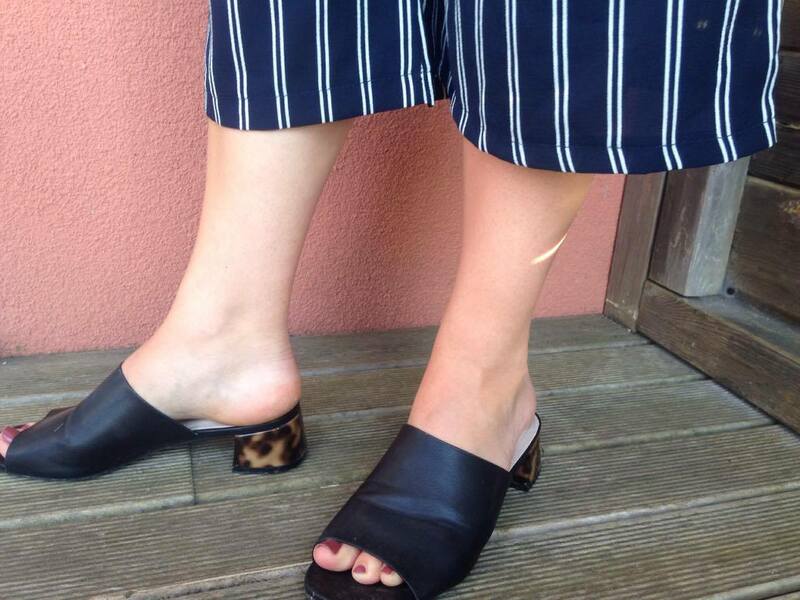 As someone who is just incapable of walking in any kind of heel without stumbling around uncomfortably, but could really do with the extra height, the mid-height block heel allows both stability (despite the lack of ankle strap) and those ever-so-important extra few inches. I am forever looking for a solution to my high-heel intolerance so I was more than happy to jump on this bandwagon and invest in a pair or two. Their versatility is also a big USP; you can wear them from day to evening, paired with either a pair of denim cut-offs or to give an edge to a floaty summer dress. These ASOS mules sold out in no time and it took a lot of website-checking and page refreshing to finally nab them in my size last week. The leopard print is different yet understated; the heel the ideal height to wear them all-day, all-night and for just over twenty pounds, you can't find better value for money.